Filmmaker Alexandra Liveris shot "Maria of Many" on a vintage Bolex camera. Image courtesy of UNAFF. So reads Article 1 of the Universal Declaration of Human Rights, a document adopted by the United Nations in 1948. Drafted by a committee chaired by former first lady and lifelong political activist Eleanor Roosevelt, the Universal Declaration of Human Rights set an international standard for the treatment of all people that remains respected to this day -- though it's not without its challengers. Fifty years after the U.N. adopted the groundbreaking document, Stanford University film instructor Jasmina Bojic founded a festival inspired by the international commitment to protect human rights. Next week, the 17th United Nations Association Film Festival returns to Palo Alto. Between Oct. 16 and 26, UNAFF will screen more than 70 films from around the world: films that touch on issues from religious freedom, poverty and incarceration to climate change, women's rights and immigration. In addition to screenings, the festival will feature panel discussions, receptions with filmmakers, an awards ceremony and education outreach programs. UNAFF is put on in partnership with the Stanford Film Society and with the Midpeninsula chapter of the United Nations Association, part of a network of nongovernmental organizations that support the U.N. and encourage civic participation. Each year, the documentary film festival centers around a broad theme. This year's theme is "Bridging the Gap," an idea Bojic said is drawn directly from the intention of Roosevelt's work. "'Bridging the Gap' covers a lot of issues: economic, social, education and gender issues -- everywhere we have to build a bridge of understanding," Bojic explained in a recent interview. "Unfortunately there are huge divisions between people, particularly in our country and even in our local community: Think about East Palo Alto, where most people are not so fortunate to have what we have in Palo Alto and Stanford." Born and raised in the former Yugoslavia, Bojic has long been a champion of human-rights issues, and the power of film to convey the personal stories beneath the politics. When she talks about UNAFF -- today one of the oldest documentary film festivals in the world -- Bojic doesn't gush about actors and directors or boast about awards and press coverage. Instead, she uses words like "laboratory," "workshop" and "community." "We have seven panels during the 11 days of the festival where we bring the filmmakers and subjects to the community," she explained. "We want people to be deeply involved in the presentation of the films. The festival is really a workshop where students and the public can work to better understand the world." Though many of the screenings take place on the Stanford campus and about 50 percent of attendees are students, UNAFF will also screen films at Palo Alto's Aquarius Theatre, Cubberley Community Center and Palo Alto High School, as well as at Eastside College Preparatory School in East Palo Alto. 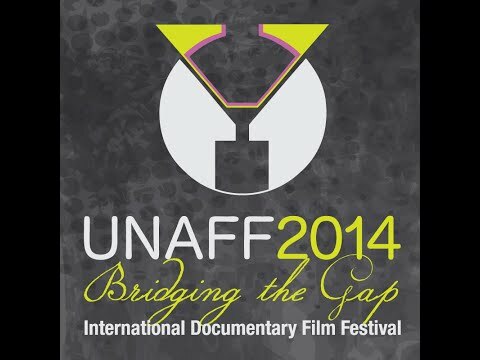 Following the festival itself, UNAFF will go on international tour, as it has since 2001. Meanwhile, the organization will continue to operate in the area throughout the year, partnering with schools and agencies like the VA and Avenidas to present films of specific interest to teens, veterans and seniors. This year, UNAFF received more than 600 submissions, every one of which was viewed by a member of the jury: film critics, film makers, professors and other community members who volunteer their time to curate the festival. Bojic said she counsels the jury to look for films that represent a range of countries and topics, and to give priority to films that present material in fresh and interesting ways. "It doesn't matter if they're first-timers or Academy Award winners," Bojic said, though she added that in UNAFF's 17-year history, 24 of the films chosen have later been nominated for Academy Awards, and seven have won Oscars. Among the films on the 2014 schedule is "Maria of Many," a four-minute short by Alexandra Liveris who recently graduated from Stanford's documentary film MFA program. Shot in black-and-white on a vintage Bolex camera, "Maria of Many" is a subtle, almost meditative film that centers on the story of a Mexican immigrant to California. Intimate shots of daily life as a house-cleaner and mother -- scrubbing a toilet bowl, brushing her daughter's hair, vacuuming -- provide a backdrop to the subject's a matter-of-fact discussion of her experience as an immigrant: her humiliation, her pride and her dreams for her children. Filmmaker Liveris explained that she discovered Maria through La Colectiva, a San Francisco-based agency that supports immigrant women to secure jobs and get involved in social action. "I became enchanted with her because she's really proud of what she does, but frank about the fact that she wants something better for her child -- and that's not a conflict for her," Liveris explained. "I wanted to see if I could tell the immigrant's story through Maria's eyes." Liveris said she sees her film as fitting well with the theme of this year's festival. "I think an immigrant's story is the story of bridging two worlds," she said, adding, "The camera does that as well: It serves as a bridge between the subject and the audience." Also on the docket for UNAFF 2014 is "The Box," an animated short that tells the story of Ismael Nazario, a teenage boy committed to solitary confinement in New York City's notorious Rikers Island jail. Set to music by Mos Def and with audio footage from Nazario himself, this haunting, hallucinatory film is based on a study done by the Berkeley-based nonprofit news organization the Center for Investigative Reporting. It's no surprise that a film festival inspired by the Universal Declaration of Human Rights would expose and challenge human-rights violations, and many of the films and panels do. Corruption in the U.S. military, the sexual assault of women and the plight of African migrants trapped in Libya's Abu Salim prison are among the harder-hitting exposés. Yet there are also stories of triumph in the face of social ills: humanitarian projects in the Himalayas, Latin American activists who work to give women financial literacy and a choreographer who uses dance to empower orphaned boys in Rwanda. What ties these disparate stories together, said Bojic, is the way they reach out to viewers across cultural boundaries and national borders. "It's important for people to see films from places we're engaged with now, like Syria and the Middle East," she said, adding, "UNAFF gives the public a chance to be more deeply engaged with stories that commercial media can't or don't cover in such depth. It's a tremendous opportunity to be educated about issues you may never have thought about before. These 70 films will change your view of the world." Cost: Tickets are $10/film session, $34-45 for a daily pass and $180 for a full festival pass. Info: For more information, including a complete schedule of events, go to unaff.org or call 650-724-5544.